Year after year, students have the good fortune to photograph Bhagawan. We are mesmerized with the illusion that we have a lot to do with taking a good picture. 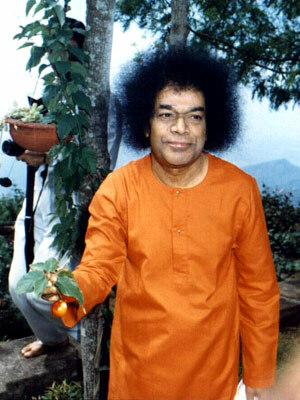 Bhagawan has a way of teaching the simple yet profound messages. In April'94, in Kodai Kanal. Nearly all the students on this trip had a camera with them. Four of us had been taking pictures of Bhagawan for over 4 years, and were known to have a camera handy, in His presence. One crisp and beautiful morning, Bhagawan instructed the students to get ready for taking pictures and prepare to leave after morning darshan. We boarded the bus and made our way to a devotee’s house in Kodai Kanal. The garden was in spring bloom overlooking the clouds hugging the mountain ridges. There isn’t day that passes when Swami reinforces the principle of GOD - Generation, Organisation and Destruction.